We've been building guitars for quite a while, 35 years in fact, and made lots of them, designed and manufactured hardware, even licensed designs. 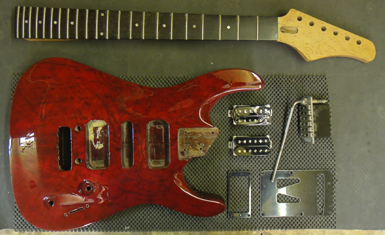 Here are some photos of some of the guitars we've built. More information will be added later.